BOOK DIRECT FOR BEST RATES AND SPECIAL OFFERS. 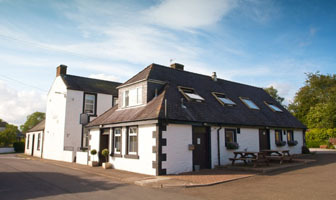 Situated just 10 minutes from the A74(M) outside Lockerbie. Great stop-off when heading further North or South. 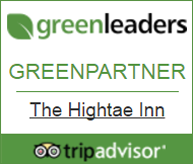 Situated in the charming village of Hightae close to the River Annan, the newly refurbished (January 2017) Hightae Inn is a former Pub now offering stylish B&B accommodation along with great home cooked evening suppers, fine wine & good beers. TripAdvisor Certificate of Excellence Award Winners for the 8th year running. Arrive, relax – EAT, DRINK, SLEEP. Hightae is a hidden gem. with the surrounding countryside offering an abundance of footpaths including the Annandale Way, river walks and quiet country lanes and is great for cycling. If you’re not overly keen on a 300 mile drive north of the border to see Scotland, buck the trend and plan a short break with us here in Dumfriesshire. It’s a wonderful tranquil slice of South West Scotland. Bags of things to see and do. Although it’s good to get away from it all, it’s still important to get on-line from time to time and as mobile phone reception here is pretty poor, delighted to offer recently upgraded (Feb 2019) free Wi-Fi throughout the hotel. All our food is home-cooked using local produce where possible and our evening supper menu board is regularly updated to ensure a great variety of fresh tasty dishes. Sit down in front of the wood burning stove after a days travel and enjoy a well earned refreshment. We’ve built up a pretty decent selection of single malt, luxury blended Whiskies and some great award winning Gins to suit most tastes and also offer real ground espresso-style coffee and Shibui Leaf Teas – a perfect end to an evening. Our Restaurant and Bed & Breakfast is open from March through to November and has a seasonal deep-midwinter closure in January & February.